Every day we get hundreds of questions from absolutely different categories of people. Can you guess who are the most common askers? Happy new owners of drop shipping stores have more questions than anyone else! It’s an absolutely normal situation if you don’t know how to run your brand new business. Don’t worry, you will learn it all in due time. And as for now, we’re always here to guide you. 1. What should I do day to day to manage my webstore? 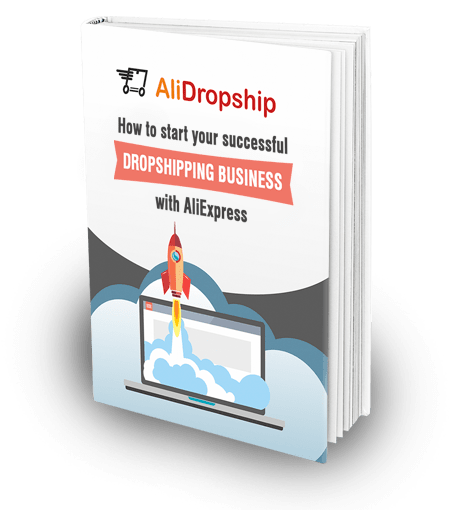 It may sound obvious, but you need to actually run your drop shipping business every day if you want it to be successful. It’s not enough to simply own a store without doing anything to it. Take a look at the success story of Alex – during the first month of his newly opened store operation, Alex did nothing to manage the operations. As you can guess, the results weren’t satisfying at all. Everything changed as soon as Alex started paying attention to the business, and now things are going more than well. Well, this is the essence of drop shipping business, right? You don’t have to handle storage and shipping issues (and it saves you tons of money! ), but still, there are business operations that must be managed. You have nothing to worry about, though, if you have AliDropship plugin already installed. In terms of business operations, it does the majority of necessary tasks, so the only thing you actually need to deal with is human factor. Communication and interaction is probably the only thing that can’t be automated in this business field. People value personal attitude, and it becomes exceptionally important when it comes to e-commerce. Just think about it: someone decides to buy a product from you without seeing this item first; basically, this person trusts you with their money, and, to be honest, takes a risk. Don’t leave them confused and uncertain! Help them, guide them through the store and the shopping process, encourage them to make a purchase, and thank them for their decision. This is how you will turn their random purchase into a very personal and pleasant experience. This is how you will create additional value of your store, and this is how you will carefully build an audience of loyal and engaged customers. People won’t locate your store easily, you know? The competition is astonishing, and Internet is huge. This is the challenge that can and must be taken. All you need to do is pay attention to your promotional efforts. If you don’t know where to begin, take a look at our Marketing Tips blog section. It is important to do it regularly – this is how you will keep your existing customers enthusiastic about new offers they didn’t see before. Also, don’t forget about trends and fashion – technologies and interests change quickly, and it is vital to go with the flow. Nobody likes outdated and boring items! Mostly, it refers to single product pages – when you import new products from AliExpress, the titles and descriptions you get are not perfect at all. This is why it is necessary to take some time and edit everything that doesn’t look good. Also, don’t forget about search engine optimization – keep it in mind when you’re editing the pages’ content. You won’t see immediate results, but in the long run, these efforts will give your more benefits than you can imagine. 2. What are the costs of running and managing a drop shipping webstore? Oh, no one can tell you that, actually. Hosting payment – sorry, you just can’t go without it. First orders payment – you need to order an item on AliExpress to get it delivered to your customer. So, at the beginning of your drop shipping journey you will spend your money first to get later paid by your customer. Marketing activities – everything is up to you here. Maybe you will launch a full-scale campaign that will cost you hundreds of dollars, and maybe you will simply install some promotional plugin like Social Rabbit. As you can see, it’s impossible to predict the amount of your expenses. No one defines it but you! 3. What should I do when I receive an order? Step two: go to the Orders section and click the “Place order automatically” button. 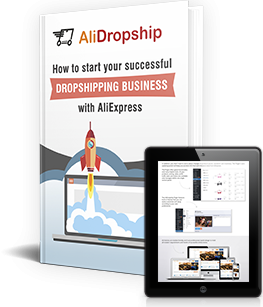 AliDropship plugin will visit AliExpress and create an order for you automatically. It will select necessary product variations, add items to your shopping cart and fill your customer’s shipping details on the checkout page. You will just need to click confirm button to complete a purchase. Alternatively, you can place the order manually by clicking “Place order manually” button. 4. Will the cost of an item on AliExpress be deducted from my PayPal account? AliExpress doesn’t support PayPal as a payment method which is why you can’t use your PayPal account to pay for purchases on AliExpress.com. In other words, the cost of an item won’t be deducted from your PayPal account. Instead, while placing an order on AliExpress, you can use one of the payment methods supported by the platform. 5. Does the plugin import the shipping costs or do I have to add shipping options to my products? AliDropship Plugin doesn’t import items’ shipping costs. We highly recommend offering your customers a free shipping service by taking advantage of the free/low cost shipping offered by many AliExpress sellers. However, the Plugin has a special section where you can enable or disable different shipping options. You can add up to four different shipping options (including free shipping) to any or all products. 6. Are the customers able to create an account on my website? Yes, your clients can get the option to create a personal account on your website. This account gives your customers the opportunity to store their contact and shipping details, check the list of products they purchased, and track the status of any order. 7. Will the customer receive a tracking number? How can our customers track their orders? Once you placed an order on AliExpress and your supplier shipped an item, you get your tracking ID. The plugin will automatically collect this tracking data and add it to your order details. Please note: you need to be logged in your AliExpress account and your AliDropship orders section to activate this tracking auto-filling option. 8. How can I know if the package was delivered to the customer? If there’s a tracking number available, you can easily track the package delivery. With this tracking ID provided by the AliExpress supplier, you can check if the customer received an item. 9. My customer didn’t receive the order. What should I do? First of all, stay calm and don’t panic. Maybe something went wrong within the postal service, or the customer provided a wrong address, or a seller is shady (did you choose the seller carefully?). You’ll figure it out later, but right now it’s not the first priority. Whatever happened, it can all be fixed. Your behavior and personal attitude will help a lot to solve this issue. If your client did not receive the order or is not satisfied with his purchase, you should follow AliExpress Buyers Protection Policy. We recommend you to talk to the seller first. Go on AliExpress, open “My Orders” page, select the faulty order and write a private message to the seller. The seller should respond quickly and offer different solutions to fix it. The reputation of the sellers is rather exposed and they are willing to do anything to maintain their feedback rating. 10. How will I handle refunds? One of the reasons why AliExpress is perfect for drop shipping is its good protection system with full money back guarantee. So, if your customer is not satisfied with a product and asks you for a refund, you should dispute the purchase with AliExpress seller. If you are selling inexpensive products, your AliExpress suppliers usually refund you quickly and don’t ask you to return the items. They don’t want to waste their energy on managing disputes and receiving returns for relatively low value items. You can read about it more in our interview with an actual AliExpress seller. As the result, you can give a full or partial refund to your customer through PayPal without asking them to return the product. This is why we recommend you not to spend all your earned money at once – keep a small fund just to be safe. Are there any questions we didn’t cover? Feel free to leave them in the comments section below! It depends on what payment gateway you connected to your store. For example, if it is PayPal you will get money on your PayPal account. I am happy with the Ali DS plugin as it is straightforward and easy to configure. However, one of my major concerns is that there is no option to import shipping rates on product level and as specified by Ali Express suppliers. Dropshippers may like to offer their customers several shipping options to choose from. What if a customer intends to make a purchase of $200 and he is willing to pay extra $20 for faster shipping? There is no option now (technically) to collect shipping details from AliExpress. If you want to offer your customers different shipping options you can create any in Shipping settings of the plugin and apply to any items on your store. That’s easy and fast. I am new to Dropshipping and planning to start my first Store. I have one query about Customs and Duty. Who pays the Customs and Duty. – Customer buys the product from our store with the mentioned price on the store. Once he receives the product he might also get payment details for Custom and Duty. – Do we need to inform the customer that the product will be delivered from China? Please if someone can give more details about How to deal with Customs and Duty. We always inform our clients on our stores that: We are not responsible for any custom fees once the items have shipped. By purchasing our products, you consent that one or more packages may be shipped to you and may get custom fees when they arrive to your country. If a seller cannot use Paypal to buy an item on Aliexpress, do buyers can use it to buy items on my site and the payment will go to my paypal account? Your buyers can use PayPal to buy from your store. You need to use a credit/debit card to place orders on AliExpress. Hi. Can I run a webstore from India for US customers? Will there be any legality issues involved in this situation? Please advise as I am eagerly waiting to start of my doubts are clear. Thanks. Hello, you can run this business from any and to any country without legality issues involved. there is no such functionality for this moment. About first order payment, you write that dropshipper have to buy first to ship item: in real when I get order but customer I should get at the same time payment so when I do order to Aliexpress I already have the money (including profit) on my account, isn’t it? Why you write I do spend my money first and later I get payment I think was the opposite. You get the payment first and then place order with your supplier. But bear in mind that AliExpress doesn’t support PayPal as a payment method which is why you can’t use your PayPal account to pay for purchases on AliExpress.com.